This bank holiday Monday, I made the most of my three-day weekend by going to see the at the Motorpoint Arena. As a big Doctor Who fan and music fanatic, I was incredibly excited. The show had come all the way from Australia as part of their first-ever world tour: they will visit six UK cities before landing in the Big Apple in October. After their UK premier in London, the show had arrived at the home of the Doctor Who Experience for two breath-taking performances. From the moment I entered the (very full!) arena, I was transported into a whole new dimension: for two hours I left the Welsh weather behind for a world of thrilling music, bright lights, and lots and lots of Daleks! Hosted by Peter Davison, the fifth Doctor Who, the show was packed with music and scenes from the programme’s last ten years on our telly. Performed by the incredible BBC National Orchestra and Chorus of Wales, the orchestra played some of the most beautiful, thrilling and breath-taking music the legendary TV show has produced, composed by Murray Gold. 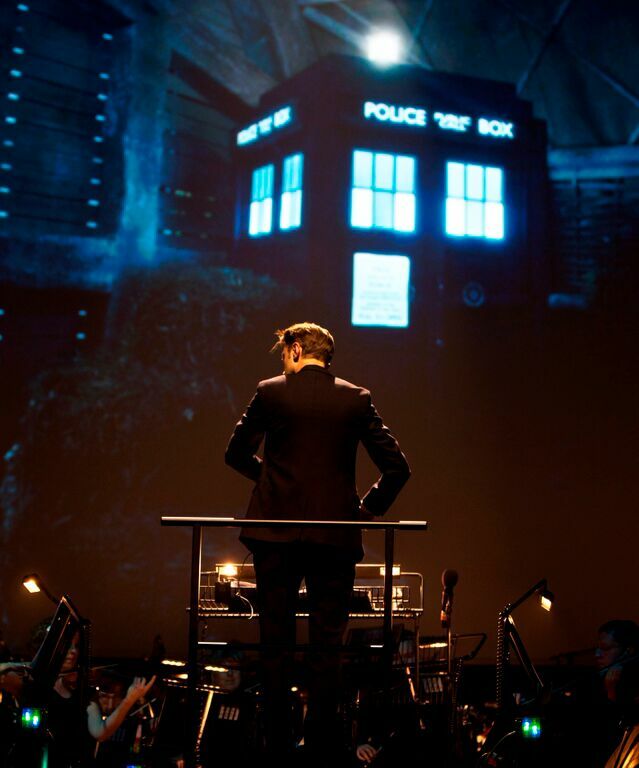 While conductor Ben Foster led the orchestra with a sonic screwdriver-inspired baton, a series of the most memorable, tense and heartfelt moments from Doctor Who accompanied the music on large screens. We witnessed the Doctors’ adventures, followed the lives of the companions and relived past Doctors’ regenerations. 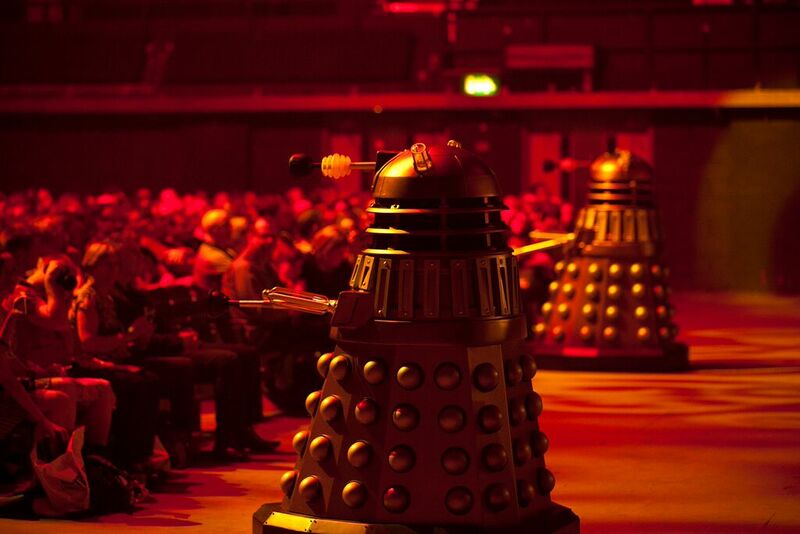 Meanwhile, Daleks, Aliens and Oods descended on the audience, while at one point the Dalek invasion held the orchestra hostage! Leaving the Motorpoint Arena, the atmosphere was electric. A combination of the dramatic lighting, phenomenal music, well-chosen scenes, and monsters coming to life created a truly outstanding performance we’d all loved. 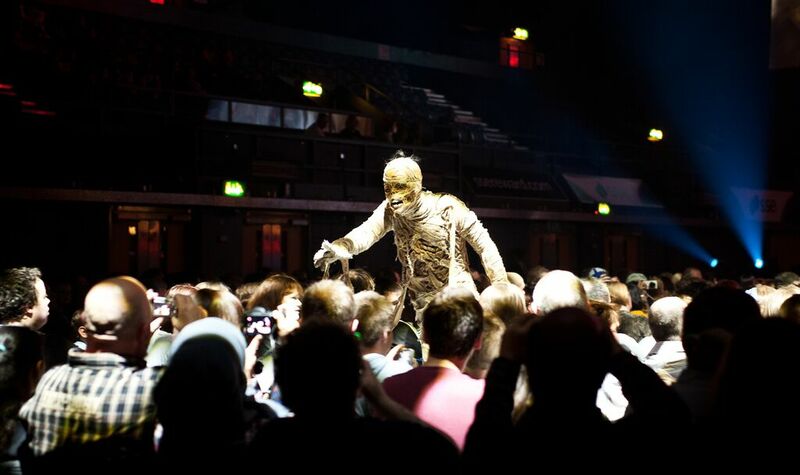 Whilst many of the crowd were dedicated Doctor Who fans, sporting imaginative costumes and tardis head gear, the show is definitely a must-see whether you’re a Doctor Who lover or not. The Spectacular will have children, mums and dads, and grandparents alike glued to their seats, and definitely isn’t one to miss! 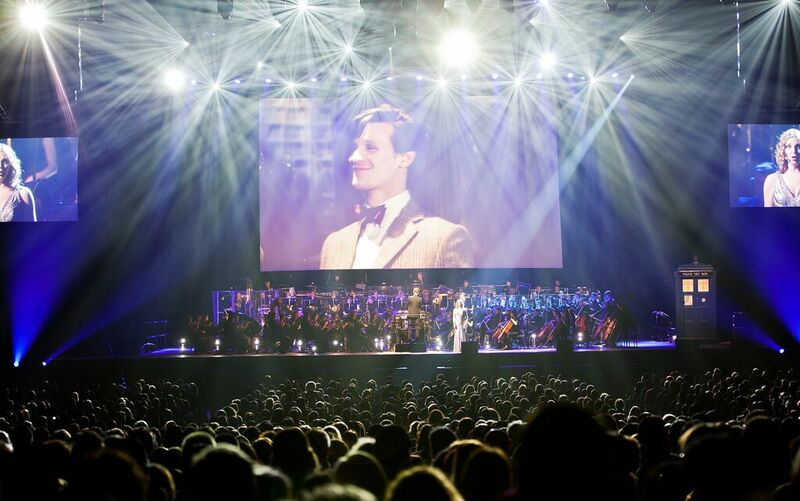 To find tickets for upcoming performances, visit www.doctorwho.tv/events/doctor-who-symphonic-spectacular/uk-2015/.